I am interested in seeing how you all protect your young fruit trees and seeings from rodents, deer, etc. I have been using 48“ tall 1 inch hardware mesh. I then zip tie that to a stake and place corrugated pipe inside the mesh to protect against rabbits. 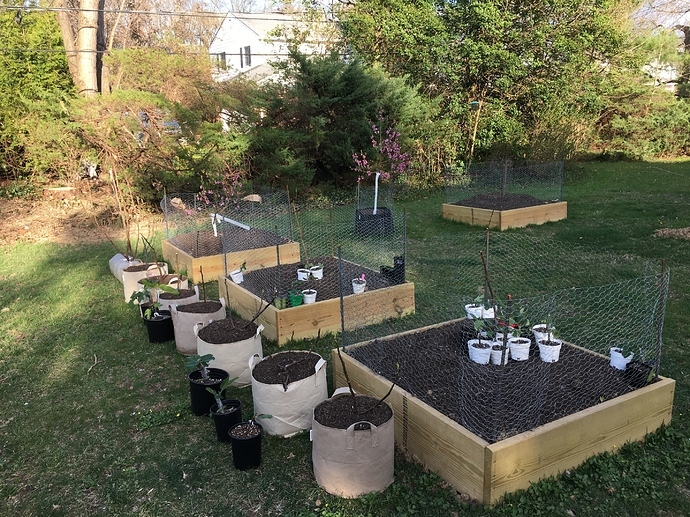 I’m considering doing the corrugated pipe on the outside since it would protect the hardware mesh when weed whacking near the trees. With chicken wire fence, see photo. Works well with rabbits, but I don’t have deer. Hopefully Scott or the moderators wont mind. In my yard, the rabbits are the #1 offenders. It’s not just the trees for me but the irrigation tubing too! The only thing that works is metal fencing. I get the rabbit kind with small spacing on the bottom, larger spaces on the top. Learned my lesson trying to do plastic netting as a fence, they chew it right up.